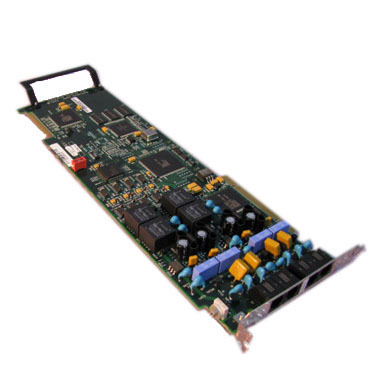 The D/41JCT-LS is a 4 port analog PCI telephony board with support for voice, fax, and software-based speech recognition processing in a single PCI slot. The cards are often used in auto dialer and voice mail applications. Has CTbus for connection to and resource sharing with other CTbus cards. Supported in System Release 6 and System Release 5.1.1 .